I don’t know whether I was watching Rudy or a(nother) lop-sided Saturday afternoon loss on NBC, but a few years back I was reminded of something about Notre Dame of which I am an unabashed supporter. 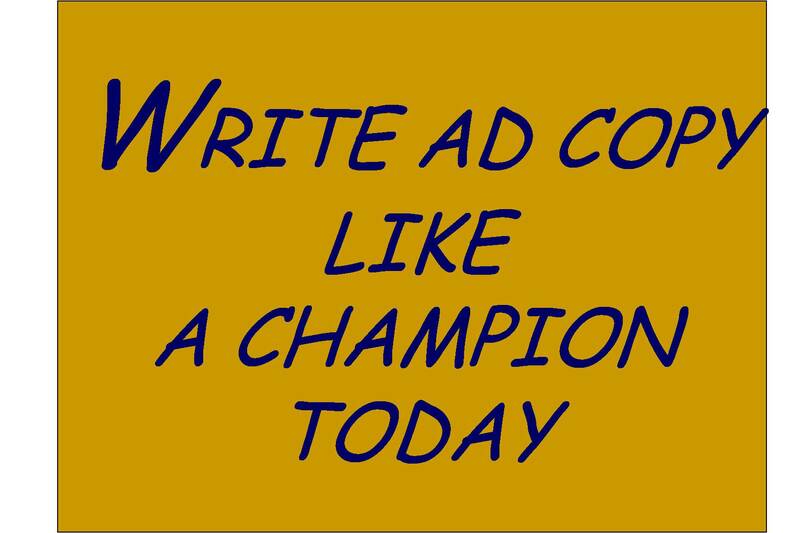 As corny as it sounds, the thing I love is the “play like a champion today” sign that hangs over the stairway that leads from the ND locker room to the football field. As explained here and here, its origin is apparently something of a mystery, but Lou Holtz had the sign put up in 1986 and players have been hitting it on their way onto the field ever since as a reminder to, well, play like a champion. When I heard about it, the echoes of my high school tennis coach started ringing in my ears. Be a champion. Why not? Why not today? Why not this game? If you came to play, you might as well work harder than your opponent and win. Make it happen. Needless to say, I have embraced the message of The Sign. My wife and I talk to our kids about maximizing the gifts they’ve been given—both the god-given ones and the opportunities (such as they are) that their having won the birth lottery have given them. Getting kids to work hard enough to find out how good they can be at something, be it guitar, golf, tennis, singing, geometry, drawing, or making their beds isn’t a battle for the faint of heart. The general malaise of adolescence can be a very tough opponent, not to mention all the other competing interests that keep the young mind distracted. Looking for a way to enhance our message to them, I thought of The Sign. The thing I like about it is that the format is flexible enough to accommodate and motivate almost any activity. My son had a “Study like a champion today” sign over his desk. During my employed days I would occasionally break out the “Bank like a champion today” sign to inspire impressionable junior colleagues. 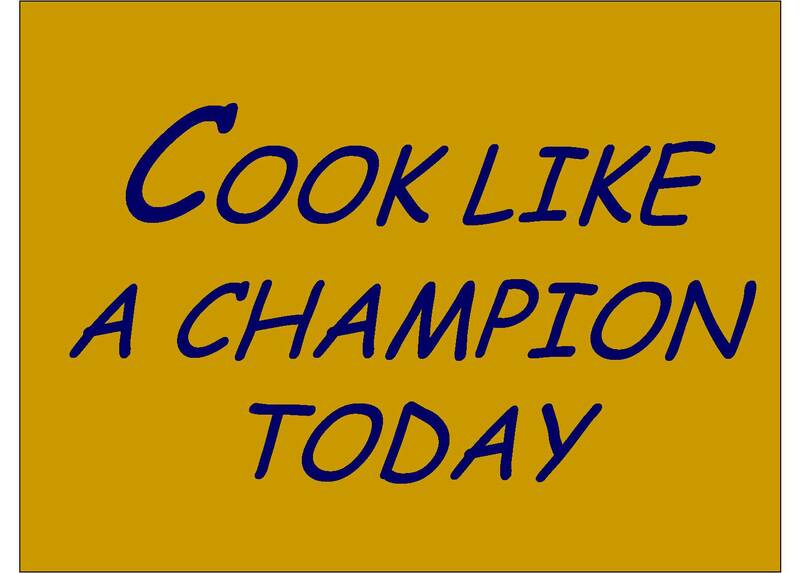 There was even a “Cook like a champion today” sign over the stove for a while. Ok it only lasted until my wife saw it and gave me the “you’re an idiot” look of pity that I’ve become so accustomed to, but still it was there! So take The Sign and make it your own. Inspire yourself and those around you to be the best at whatever it is you do, even you blog reading hookers. Do more than you thought possible. Why not you? Why not now? “News” must not mean what I think it does. Next up on Today, the Moon’s shocking 28-day cycle and word that the oceans contain salt! Is there anyone who thinks that he didn’t do this precisely because he wants to take the fall fully and completely for his sons and wife (and others)? He pleaded guilty without any plea bargain so that when (not if) his sons are brought up on charges they can call him as a defense witness and he can say, “As I said at my trial without refutation, I did this all myself and my sons weren’t involved,” in an attempt to create reasonable doubt. But NBC thinks that getting someone on TV to say, “Bernie is covering up” is something that adds to the story and is therefore “news”. I don’t feel any better informed after seeing the segment. Do you?